Well, just when I had a free weekend and I was ready to process more pics from Okinawa, typhoon Nesat decided to pay me a visit here in Yilan county. Under normal circumstances it would have been the perfect time to stay at home and process some photos, but unfortunately the strong winds cut off the electricity for roughly 36 hours. The typhoon reached its peak on Saturday after sunset, which made it impossible for me to record. This kind of typhoon brings a layer of complete darkness, with all the road lights getting smashed and absolutely no light coming through from the moon. No damage in my place, though all the young trees that were planted in 2015 after typhoon Saudelor wouldn’t agree with me. The amount of fallen/broken trees in the countryside was quite the view. Anyway, this coming weekend it looks like there won’t be any typhoon, so I may get the chance to head to the seaside, take pics of surfers and then upload some images here. I’ve not posted more pics of my trip to Okinawa in a while. The reason is that I still have to process some images that require a bit of care and I want to make sure I have enough time to focus on them. Yesterday I went to Longtan lake and carried my camera with me, hoping I may be able to take some nice shots of birds, spiders, turtles etc. I’ve had a good time and took nearly 100 images. Some of them were pretty good, I was extremely excited about two in particular: a bird in flight that I managed to shoot at 1/4000th of a second in a very interesting mid-air pose, and a monstrous spider the size of my hand. As usual, as soon as I got home I copied the images on my pc to have a back up and…SD got corrupted. All images are lost. Fun fact: it happened to my best SD card. I have a bunch of cheap Transcend cards that I’ve been using for years with no hiccups, while my Sandisk Pro SD card just gave me the finger. Glad it didn’t happen to the pics of Okinawa, it would have been insane. Anyway, I hope this coming weekend to upload some new stuff from Japan. This is the period when swallows start to show up in Yilan and get ready to prepare their nests. 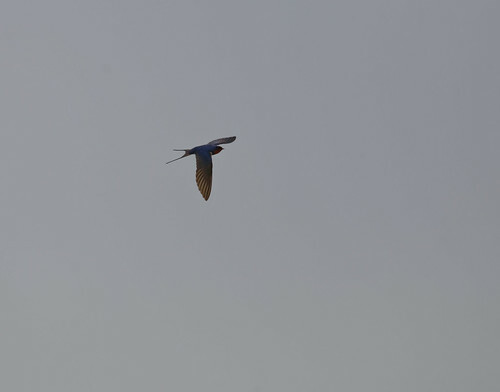 They’ve been flying around for a few days now, looking for a mate and a safe place to lay eggs in the coming future. It’s a great period for them, the warming weather leads to gazillions of mosquitoes breeding in the now floodes rice fields. 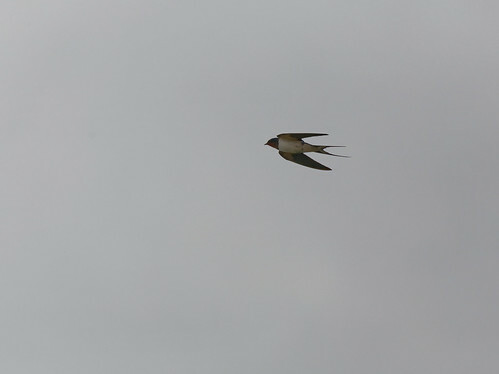 Needless to say, packs of swallows attract the interest of larger birds. 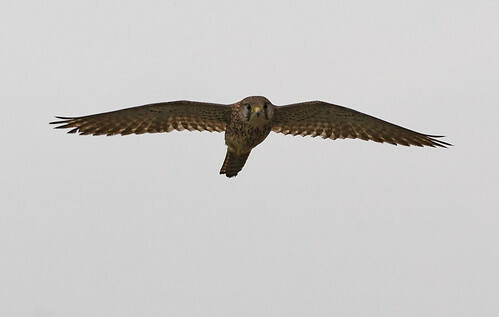 There’s a fair amount of birds of prey in Taiwan, including many species of eagles, buzzards and such. Some of them live in the proximity of rice fields and live off small mammals, lizard and such, while close to the mountains there are larger birds. Now this is the part where I’m supposed to reveal the species of the bird in the first image and explain what it does for a living. I have no clue. It’s a falcon-eagle-buzzard looking flying thing, and it was smaller than the large eagles I see when I head to the mountains. I’ll update the post when I find out what it was. On a technical note: taking pictures of swallows is a bloody pita. The falcon eagle thing was cool, it came flying in my direction in a straight line and I was able to take several shots before it steered away. Swallows on the other hand look like they’re on drugs ALL-THE-TIME. All images are very heavy crops because 300mm for birds is a bit too short, but I don’t see myself getting a longer lens in the near future.